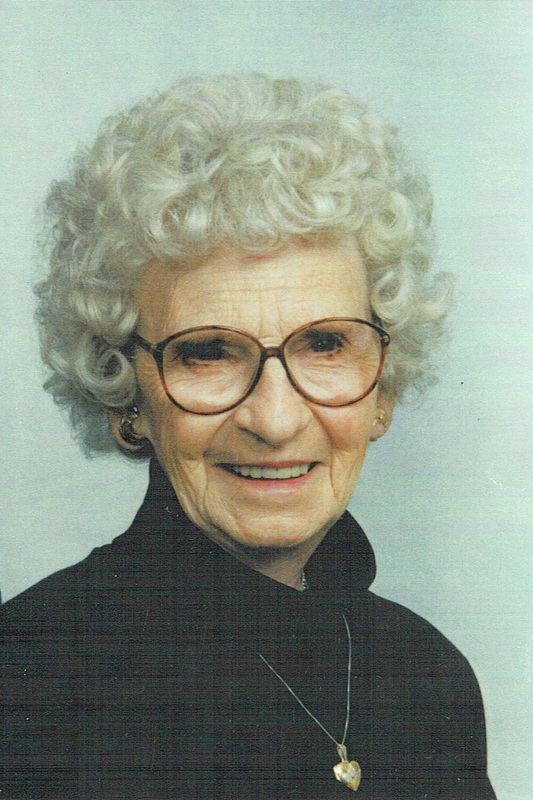 Erma Boldt, 98, died September 20, 2014 at the Good Samaritan Village in Sioux Falls. She was the oldest of 6 children and was born on March 5, 1916 on a farm northwest of Dell Rapids, SD to Henry and Mathilda (Heissel) Mairose. She attended rural grade school and completed her education at Dell Rapid's St. Mary's Catholic School. Early during the outbreak of World War II, she went to work helping the war effort by filling military commodity orders at John Morrells. She moved to Hattiesburg, Mississippi and on February 21, 1944 she married Jake Boldt, who had been called to active military duty. She stayed with him until he was shipped overseas. She returned to South Dakota for the duration of the war and after this, they made their home in Sioux Falls. Erma was a member of St. Joseph Cathedral and sang in the Cathedral Adult Choir for over 30 years. She also sang in the funeral choir. She participated in the Cathedral Symphony Christmas Concert a number of times. She did volunteer work at the Good Samaritan Village Nursing Home, St. Vincent DePaul and the Center for Active Generations. She was an accomplished seamstress and used her talents to sew clothes for needy little children, donating them to the Banquet. One of her latest endeavors was making quilts and blankets for babies of underprivileged young mothers. She was a staunch believer in the sanctity of life and supported and contributed to The National Right To Life, The American Life League and the South Dakota Right To Life. Those remaining and remembering her life are her daughters: Gayle Angle, Vickie (Jim) Beach, Darlene (Larry) Tentinger and son, Donald (Debra) Boldt; Brother: Donald five grandchildren; seven great-grandchildren; four great-great grandchildren; four step-grandchildren and three great-great grandchildren. She was preceded in death by her her husband, Jake, brother, Jerome, sisters, Bernetta Huntimer, Doris Fellows, son-in-law, Chet Angle, and an infant sister, Lavona. Memorials may be directed to the South Dakota Right To Life. Visitation will be Wednesday, 6 PM at Barnett-Lewis Lewis Funeral Home with a Scripture Vigil at 7PM. Mass of Christian Burial will be Thursday, 10:30 AM at St. Michael Parish.